Cadwalader Ringgold was the first President of the Board of Pilot Commissioners. As you can see from this chart, he was also an excellent draftsman and a skilled cartographer. Commander Ringgold’s chart is of extreme historical interest. 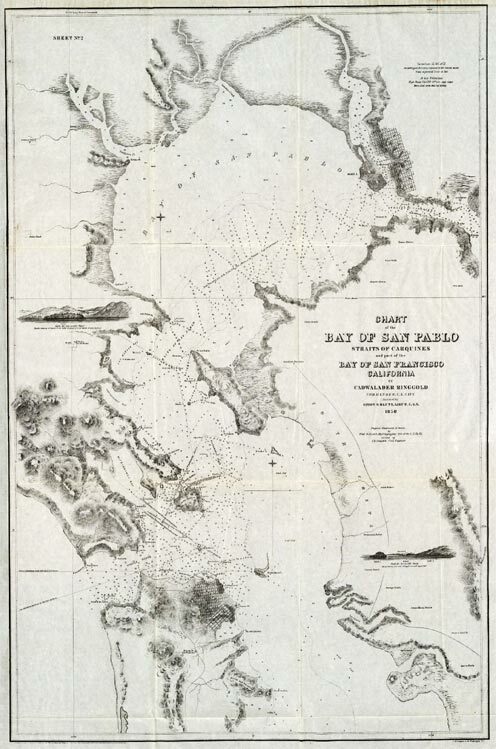 It shows the depths in San Francisco Bay prior to the era of hydraulic mining in the 1880s as well as the original extent of the City of San Francisco and even the site of Mission San Rafael.